The number of foreign students at German universities is rising. German language skills are particularly important for their academic success. A representative study by the Goethe-Institut and CHE Consult now shows for the first time where and how students learn German prior to their studies. So when and where did the students acquire the language skills necessary for studying in Germany? Schools are the first important building blocks. Almost half of the foreigners studying in Germany come into contact with the German language for the first time at school. The roughly 2,000 PASCH schools, which are supervised on behalf of the Federal Foreign Office by the Central Office for Schools Abroad (ZfA), the Goethe-Institut, the Pedagogical Exchange Service (PAD) and the German Academic Exchange Service (DAAD), are lighthouses that have successful effects on educational systems. This pays off: former PASCH pupils – measured by their numbers – are disproportionately represented at German universities. But significantly more former pupils who are studying in Germany today come from the world’s approximately 93,000 other schools offering German as a foreign language. 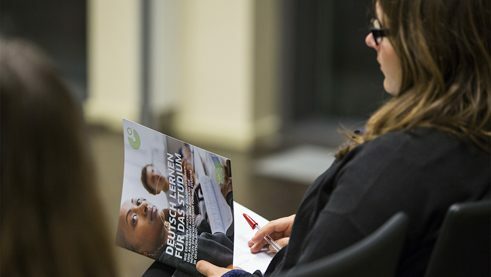 The Goethe-Institut reaches them through the Bildungskooperation Deutsch with further education programmes for teachers, advice on the development of national German curricula and advertising for the German language. These are all decisive factors for encouraging aspiring academics to study in Germany. The brochure "Learning German for Studies" presents the results of the study. | Photo: Martin Christopher Welker However, the study also shows that for the pupils who learn German, school alone is not enough. More than 90 percent of them further developed their language skills outside of school before studying in Germany, in particular through language courses offered by the Goethe-Institut and other private language schools, but also, for example, through an au pair job or a youth exchange programme. Most students in Germany from abroad study mathematics, computer science, the natural sciences or engineering (so-called STEM subjects). In view of the shortage of skilled workers and the international networks of an exporting country like Germany, this is a gratifying trend. It is therefore a promising approach to combine German with STEM subjects early in the classroom. 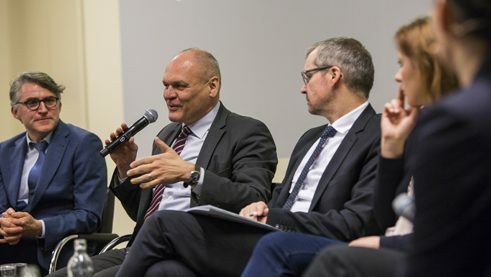 The study aims to contribute to the discussion on how to promote German language learning abroad even better in order to support people in planning their educational biographies and to open up pathways and perspectives for them.